Select committee Chairs Clive Betts MP and Sarah Wollaston MP explain how using a Citizens’ Assembly helped their committees find a consensus and produce a unanimous joint report for their recent inquiry into the long-term funding of adult social care, in an important innovation in select committee practice. Insufficient funding for adult social care for too long has placed the system under very great and unsustainable strain. Billions of pounds are needed now to close the funding gap, meet everyone’s care needs and improve the quality of care provided, and that is before considering how to cope in the future with the growing demand brought about by our ageing population. As successive governments have struggled to come up with a long-term solution, too many people are being left without the support and care that they so desperately need. While there is wide consensus that we can no longer delay finding a fair and sustainable solution that works for all, agreement on what it should be has proved impossible to settle on. If we are to agree on something that will command the broad consensus needed to solve the crisis, we strongly believe that the public needs to be actively involved in deciding where the additional funding for social care should come from and how it should be spent. 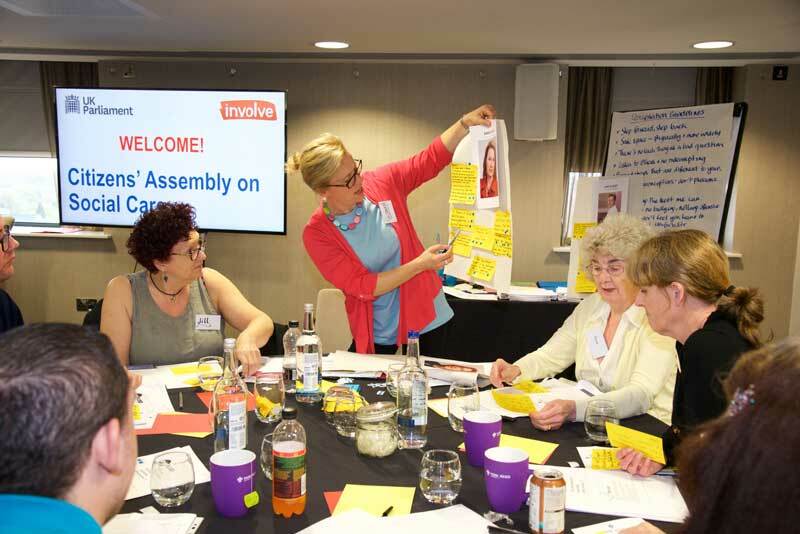 This underpinned our decision to make public engagement a key aspect of our inquiry into the long-term funding of adult social care, and commission a Citizens’ Assembly. How did the Citizens’ Assembly work? While select committees have a long track record of reaching out and engaging with the public, this Citizens’ Assembly was the first held by Parliament and probably one of the largest scale and most in-depth examples of public engagement undertaken by a committee so far. The Assembly was organised by Involve, a public participation charity which manages projects putting people at the heart of decision-making. The 47 members of the Assembly were chosen to be representative of the English population in terms of age, gender, ethnicity, socio-economic group, place of residence and attitudes towards the size of the state. Among those involved were people with direct experience of social care. 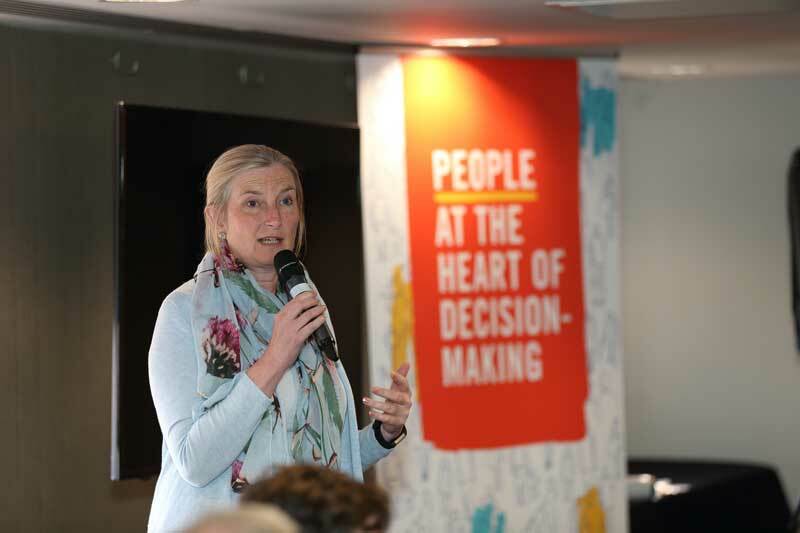 The Citizens’ Assembly took place over two weekends in Birmingham, with members hearing from expert contributors before discussing what they had heard and voting on and ranking various options for social care funding reform. 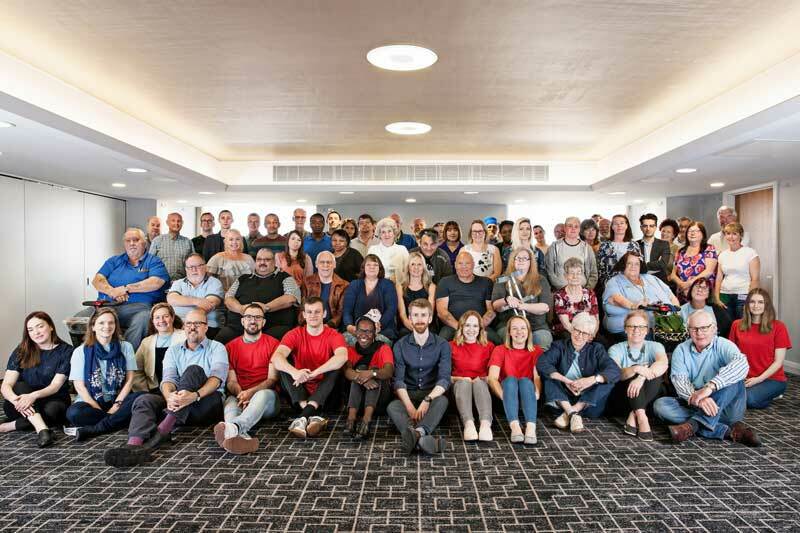 When we observed the Citizens’ Assembly members at work, we saw them engaged in lively and constructive discussion, working together to grapple with often new and complex issues, challenging each other’s and their own views, and coming to informed decisions. We were delighted with their response to taking part, particularly their enthusiasm for being involved in a democratic process. One member observed, “It is important for democracy and the political system for the public to be involved, and hopefully heard”. How did the Citizens’ Assembly help? After seeing first-hand the hard work of those involved in the Assembly in grappling with the problems of how to fund social care, and considering the results of the votes undertaken, our published report and recommendations were informed by their conclusions. We are recommending a move towards a system where more social care is delivered free at the point of use, funded through the introduction of a Social Care Premium, specifically earmarked for social care. Following the recommendation from the Assembly that a greater proportion of people’s savings and assets should be protected, and very high care costs should be capped, we also concluded that the pooling of risk is a vital consideration in the design of any new system. Having access to the considered views of the Assembly was vital. And listening to the views of a representative group gave us a reliable insight into the solutions that could command broad consensus. It is this broad consensus that will be needed if we are to solve the problems of the future. With the Assembly showing the way in what could be achieved, the members of our committees, from different political parties and representing different parts of the country, were able to agree a unanimous report. It is now up to the government to respond, and we hope it will accept our proposals when it comes forward - any day now - with its Green Paper. Reflecting the need for consensus across the board, we have also taken the unusual step of addressing our recommendations to the opposition front bench. As successive failed attempts at reform over the years have shown, cross-party agreement is vital to making progress. Mindful of the value of listening to the recommendations of the Assembly, we also told ministers that engaging the public in the reform process will be critical to its success and that they should show a commitment to public engagement. After nearly a decade of attempts, it really is our last chance to implement funding reforms for social care that can match up to the challenges we face. We eagerly await the social care Green Paper, hoping to see it incorporate our bold proposals which we know already meet with public support. The Citizens’ Assembly process has been invaluable and could mark a new way of involving the public in how we make decisions in the future. Assembly members have shown that through dialogue, considered thinking and debate it is possible to achieve consensus on solutions for seemingly intractable problems.